Alone, in space. Pondering on where to go, you make a fateful decision: you gate to the next system. In a galaxy that is different every time you play it, to whom will you call for help? Every step is a mystery, and behind every gate is a puzzle waiting to be solved. To which stargate takes you to the Core? The only answer is to jump across the next stargate and find out. Uncharted is Network Plus, but this time, the layout of all systems are procedurally generated. This means more weight to every decision and a more flexible topology to accomodate for stranger and more unknown topologies. It works with SysDensity too? W00t. I must has this. Reuploaded at 72 downloads. Fixed the issue where Vanilla nodes from different clusters would connect (like Eridani => St. Kat's) but left the intracluster (Eridani => Rigel) connections possible. Also fixed the NodeIDs so that the Taikon mission DS in St. Kat's works properly. Apparently the mission reveals nodes on the Galactic Map so it's still a useful mission to take. Updated at 173 downloads. Changed Rigel to be Rigel Aurelius and Eridani to be Starton Eridani. Also added the Endgame node (who knew that the end of the game was a system?). Also added Elysium so that the Jumpdrive and Gem of Despair can be used. 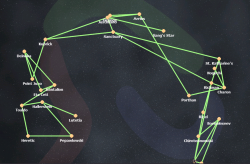 Added a Galaxy MapPER ROM, so that players can map nodes without going to them. Updated at 249 downloads. Made mapping roms a lot more common. Also overrides the system map rom in this update as well. Updated at 316 downloads. I made level changes a *lot* smoother so that each area is clearly "Pre-St.Kats", "Post-St. Kats", etc. Updated at 491 downloads. Made sure that the guaranteed Charon => St. Kat's link doesn't disconnect the two from the rest of the star cluster. Also added an adventure so it's easy to check if a topology is disconnected. All you have to do is get the XML from the debuglog and replace the nodes in the test XML, then use something like GODmod to check it out. The next update will focus on making the XML output to debuglog be nicer though. Updated at 602 downloads. Debuglog output is a *bit* nicer, and hopefully people report problems with system generation, if there are any. Updated at 614 downloads. Credits to Jay2Jay for finding a bug. Basically two galaxies are being generated instead of one because of alpha 1.2's tendency to run OnGlobalTypesInIt *twice* instead of once. It's now fixed. Updated at 816 downloads. Heretic => Elysium connection is now guaranteed. Updated at 820 downloads (sorry to those four downloaders). Heretic => Elysium connection is now guaranteed (for sure this time!). Ok, just downloaded this one and tried it on 1.2 and wham the first system was so not level 1. Two wind slavers took me out in the first five minutes. D: I will check the level code. An uncoutably many thanks to pixelfck for fixing this mod. 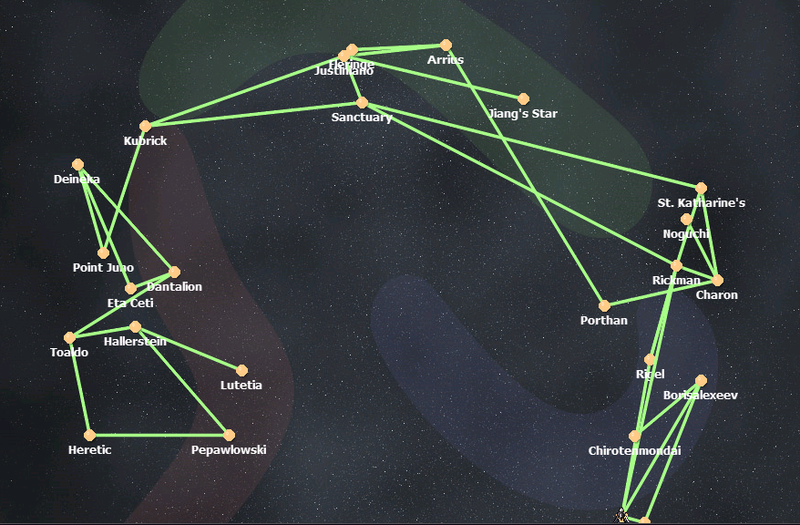 I'd still suggest using his mod ( http://xelerus.de/index.php?s=mod&id=1340 ) since it's more organized and has a pretty Galactic Map but if you want to get lost you can always use Uncharted. Updated at 977 downloads. Reuploaded at 1029 downloads. Settings.xml is now included.